What Should I Study to Prepare for the ACT Science Test? Despite its name, the ACT Science Test is not really a test of your knowledge of science. You won’t be asked to explain the second law of thermodynamics, or quantum entanglement, or who Galileo was. It is a test, instead, of your scientific reasoning capabilities. Do you know how to make deductions from data visualizations? Can you spot general trends in charts and graphs? Are you able to parse the similarities and differences between different scientific explanations? Much like the reading test of the ACT, you’ll be provided multiple passages (6-7, to be precise) that test your ability to read and interpret scientific writing, graphs, and charts. Because the test does not typically assess prior knowledge, the best way to prepare for it is to take practice tests, identify your difficulties and weaknesses, and get used to the timing of the test. The timing of this test is a challenge for most students. You get just 35 minutes to answer 40 questions. That leaves you just 52.5 seconds per question. When you take practice tests, make sure to time yourself accordingly. Answering questions efficiently requires that you be able to zero in on only the information necessary for each question. As you prepare for the exam, you’ll soon find that the test demands a certain kind of critical reading. Specifically, it asks you to cut through what can sometimes seem like a mess of data to find what are often pretty simple solutions. If you’re not science minded, the scientific terminology and symbols here might leave your head spinning. You might be intimidated by this passage if you’re unfamiliar with the terms “genotype” and “allele,” and all those capital and lower-case S’s and G’s likely cause at least a bit of confusion if you’re trying to read silently to yourself. But remember: this isn’t so much a test of your scientific knowledge as of your scientific reasoning skills. For the questions that follow, there is no advantage to knowing what a genotype or an allele is. In fact, replace those with terms of your choosing, if it makes things easier. 1. Based on Table 1, which of the following crosses would produce only spherical, yellow peas? In answering this question, make sure to keep things simple. Intelligent students sometimes get overly speculative with a question like this one by introducing complications to the information provided: What if an ssgg genotype mixed with another ssgg genotype somehow produces a totally different shape and color? How do I know it couldn’t? This is a stupid question! If you’re one of those students, turn off the curious, expansive part of your brain and keep things grounded. This question is far too simple for you, and you need to come down to its level. In fact, to answer this first question, you really only need a first grader’s ability to match letters with shapes and colors. It’s really that simple. The trick here is finding simplicity in what might seem to be a bog of complexity. Give the question a try on your own before reading on. The answer, of course, is choice C.
5. Which of the following crosses would produce the greatest fraction of dented, green peas? Again, all you have to do at first is turn these genotype symbols into their equivalent shapes and colors. Think kindergarten, not college. How do you figure out the genotype distribution for each of these choices? The nice thing is that you don’t have to, really. Look back at Table 2. There you have the results of a spherical, green genotype mixed with a dented, yellow genotype. The result is an even 25% distribution across each of the four shape and color combinations. The test thus tips you off to choices A and B. As for choice C: you’re obviously not going to get any dented, green from two spherical genotypes. That leaves us to figure out choice D. Again, no need to make a new table. Look back at Table 2. Notice how half the offspring are dented and half are spherical? Choice D would give us the same distribution in regards to shape, since one genotype is dented and the other is spherical. The only difference between Table 2 and choice D is that choice D would produce no yellow offspring. Focusing on shape first, then color is an example of finding simplicity among what might seem chaotic. Keep it as simple as possible. 50 is bigger than 25. Twice as big, even. So, the answer is D.
Easy, right? Or at least you can see now how simple these questions really are. The trick here and throughout much of the test is to sort through complexity to find simplicity. While your English teachers might get you to look intensely at every word in a poem, this test asks you to separate the wheat from the chaff, so to speak—that is, to find only that information that is necessary for each question. 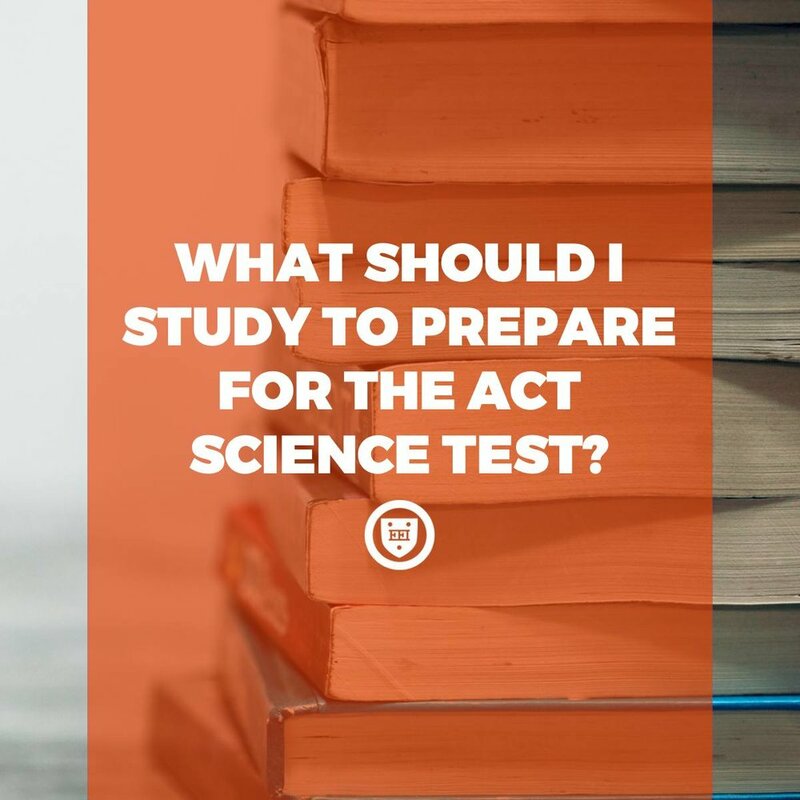 It’s a particular skill that you’ll need to sort through the complexities and opportunities of college life...and to ace the ACT Science Test.